How does a man move over 300kg of weight? Sean O’Brien is no ordinary man. 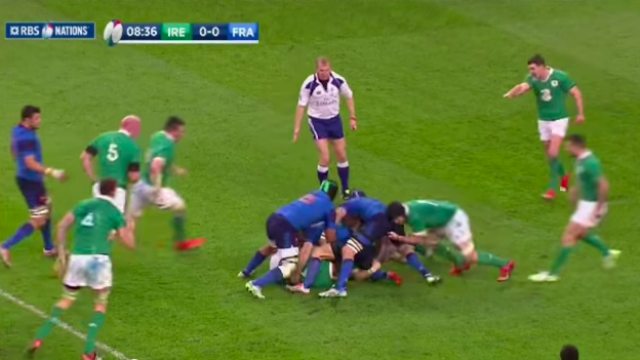 The Leinster openside gave a lesson in power during the 2015 Six Nations as Ireland took on France, with his single-handed monster clear out of Bernard La Roux, Rory Kockott and Thierry Dusautoir. Seeing as the big man turns 31 today, it’s the perfect time to cast ourselves back and marvel at it once more. Here’s hoping the Tullow native will play a part in this year’s competition. Where does this rank in the terms of your best Six Nations’ moments?